When Venture Atlanta first got its start in 2007, the city was a different place. Entrepreneurs and investors were thin on the ground, and great startups were shy to make their home here. In its first year, our conference had only a few hundred attendees, and some 20 funds to work with. To anyone who was a part of it, one thing was clear: we had our work cut out for us as we strove to be a serious destination for venture capitalists and entrepreneurs. Back in 2007, building a startup in Atlanta — or funding one — was met with skepticism. But from the beginning, Venture Atlanta (VA) has been singularly dedicated to connecting companies to capital and with every conference, the connections we’ve made have become more extraordinary. Over the past 12 years, we’ve built an impressive program leading to $2.7 billion in capital raised and $14 billion in exits. This success isn’t just reflected in the companies that have been a part of the conference, but also in the board of leaders and innovators who bring the event to life year over year. With a great vision for the future of VA, Alex Estevez has stepped into the role of 2019 Chairman of the Board and leads a team of highly-motivated industry leaders, including newly-added members Thiago Olson, Jim Douglass, Dave Payne, Phyllis Newhouse, and Vanessa Larco. They will join the already impressive list of board members including John Ale, Mike Becker, Kelly Gay, Linnea Geiss, David Hartnett, Paul Iaffaldano, Raj Rajan, and Larry Williams, as well as Venture Atlanta’s Executive Director Allyson Eman, to chart what Venture Atlanta will mean for the tech scene moving forward. As a personal investor in some of the leading U.S. software companies outside of the West Coast, including BetterCloud, FullStory, Pindrop, and UIPath, Estevez knows what kind of talent exists outside of the Valley. “Atlanta is unique in its combination of industrial strength, educational infrastructure, and strong corporate community engagement, especially from so many Fortune 500 companies,” says Estevez, who became Chairman after two years on the Venture Atlanta board. Estevez, a venture partner with Accel Partners, a global leader in venture capital, plans to lead the board in executing its vision of becoming one of the top venture & entrepreneurship conferences in the nation. Estevez’s focus is reflected in the caliber and diverse expertise of the team members who will help spearhead his vision for the organization. “Venture Atlanta has been incredibly successful with startups and earlier stage growth companies, due in part to strong leadership from past chairmen like Mike Becker, Phillip Lewis, Alan Taetle, and Blake Patton” explains Estevez. As a key player in Atlanta’s tech scene, Thiago Olson, managing director of Engage Ventures, got started with VA in 2015 and has watched the tech scene grow and evolve to encourage higher-caliber investors. As the conference helps propel the entrepreneurial ecosystem of Atlanta forward, the attention, interest, and investor dollars have increased across the country. “I keep getting asked by friends and colleagues: When is the one time of year I should visit Atlanta? This conference makes that easy to answer,” says Olson, whose company manages a venture fund and growth platform with 11 leading Fortune 1000 corporations, and previously served as an Entrepreneur in Residence at the Advanced Technology Development Center, one of the first technology incubators in the country. Dave Payne, startup founder, investor, and managing director of Techstars Atlanta, a company that aims to positively connect industries like telecoms, mobility, transportation, and finance, has similarly watched Atlanta’s opportunities through the years grow as a result of the conference’s impact. “In the late ‘90s, Atlanta was under-sourced from a startup perspective,” explains Payne. “I had my startup success with Scoutmob, and I have real empathy for startup founders in the Southeast. Now, it’s a different story. Jim Douglass, partner of Fulcrum Equity Partners, plans to leverage his 25 years of extensive experience in operations management, strategic development, and high-growth financial services to do just that: grow the conference by attracting the talent that really deserves time on stage. “There aren’t many conferences where you get really strong, centralized content in this capital spectrum,” elaborates Douglass, who, prior to joining Fulcrum Equity Partners, served as CEO of Vesdia, a pioneer in loyalty and card-linked marketing for financial services, airline, and hospitality companies. 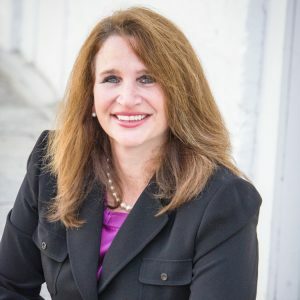 Phyllis Newhouse, CEO of Xtreme Solutions, Inc., and Entrepreneur Of The Year® 2017 National Technology Award winner, plans to bring not only more women and veterans to the table as part of the Venture Atlanta board this year, but also lead Atlanta further into the national conversation. So why Venture Atlanta, and why this year? The conference’s momentum is catching — and attracting the next wave of innovation from across the country. 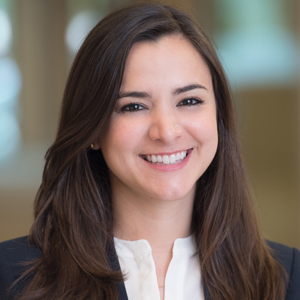 Vanessa Larco, a partner at New Enterprise Associate, will commute regularly from her hub in San Francisco to be a part of the 2019 VA board, bringing national interests and funds to the heart of this year’s conference. But what are all of these connections truly worth? For our attendees, investors, and entrepreneurs, it’s been a result of billions of dollars invested in everything from AI and e-commerce to healthcare and energy. But the true value is more than the dollar-line. It’s also about the impact that the sharpest minds, biggest investors, and industry-leading companies can create together in one place. “This is about meeting people, but it’s also about the deal activity,” explains Estevez.